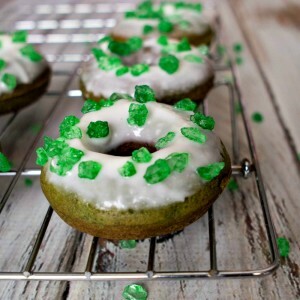 These Green Donuts make delicious St. Patrick’s Day Desserts. 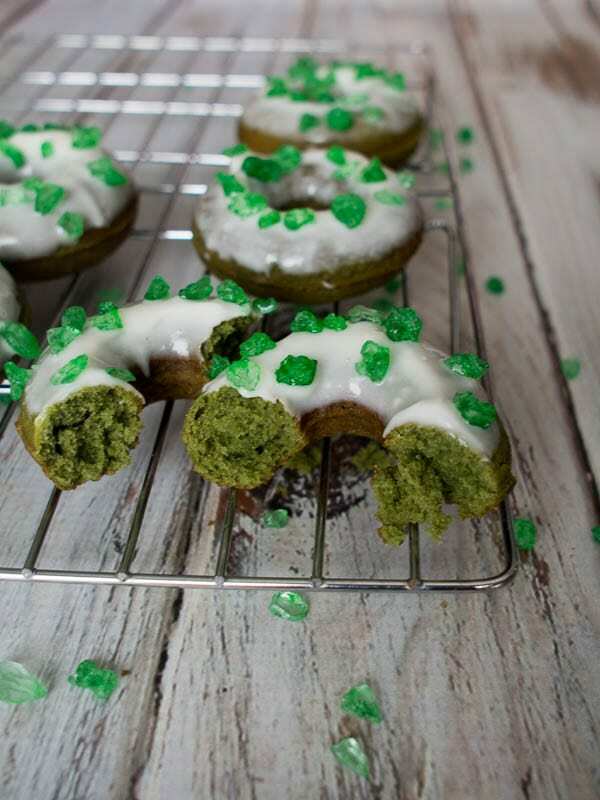 One of my favorite things about St. Patrick’s Day is all the green food, like these Green Donuts! Red Velvet is a popular flavor for Valentine’s Day, and this is basically the same only with green food coloring instead of red. They are chocolate inside, but the green color makes them more seasonal. I made my donuts in a Donut Maker, which, which makes five little donuts at a time. 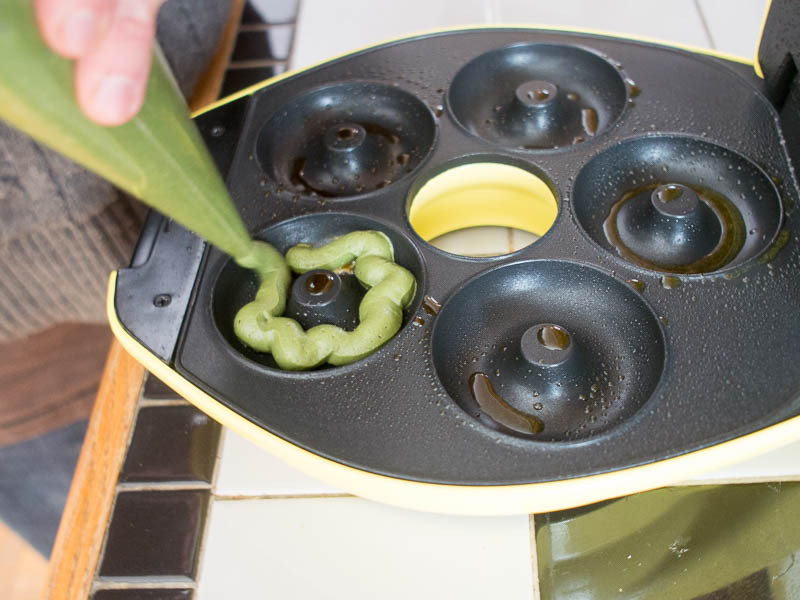 But you could also use a donut pan and bake them in the oven if you don’t want to store a whole new appliance. I got the Donut Maker on sale, and it is pretty cute, and makes the donuts in just a few minutes. I used a pastry bag to pipe the donut batter into the pan which made the entire process quick and easy. The donuts came out with just a hint of green color on the outside. To top the Green Donuts off I made a traditional cream cheese frosting, dipped the donuts in, and sprinkled them with green sugar. I used big Green Sugar Gems, which are like rock candy and quite different from basic green sprinkles. 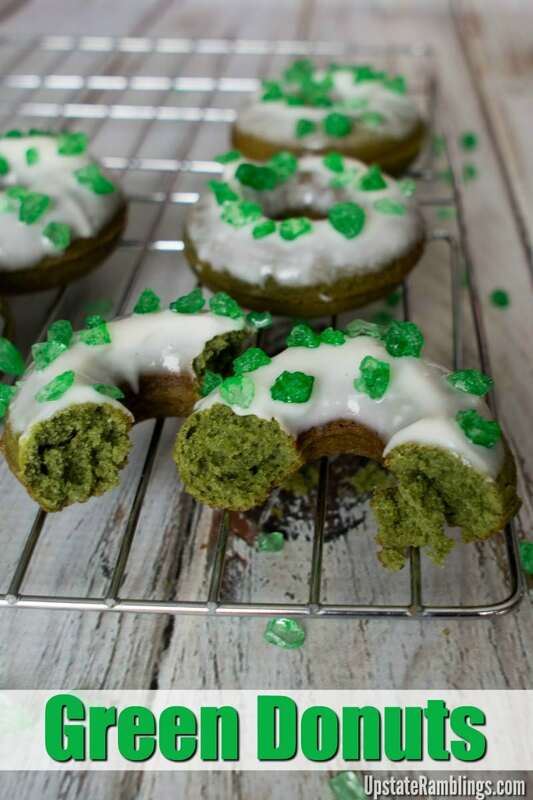 It made the donuts look festive, and perfectly green for St. Patrick’s Day. 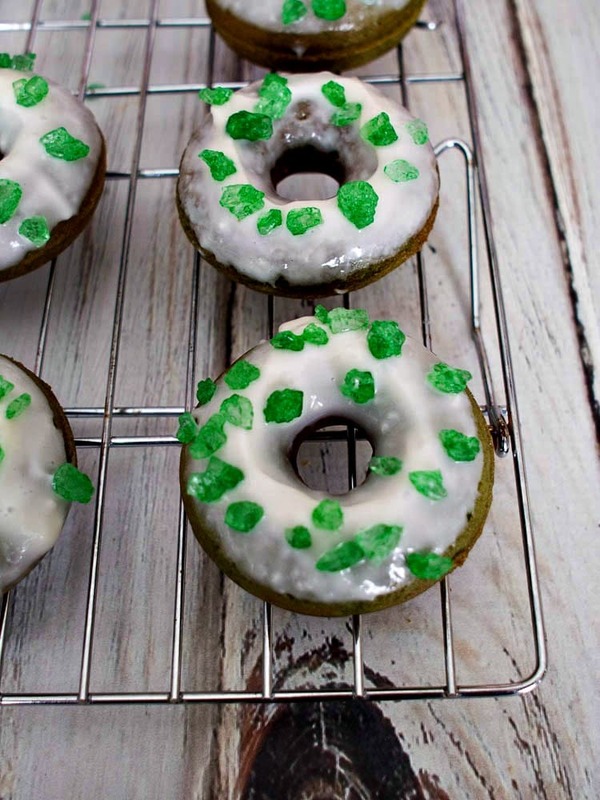 Enjoy these Green Donuts with Cream Cheese Frosting for St. Patrick's Day. 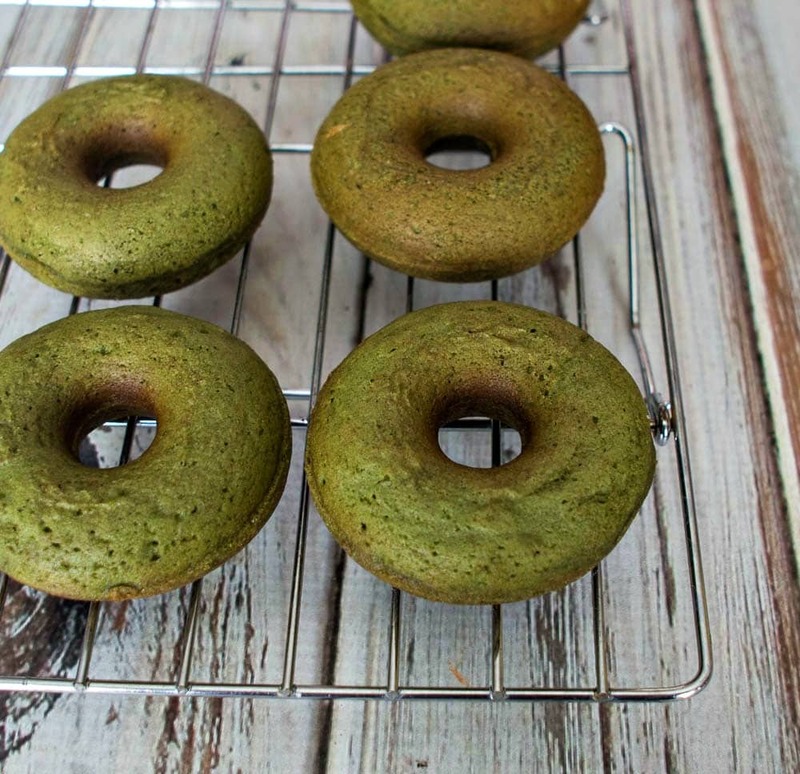 These cute green donuts are chocolate flavored with a green tint and tasty cream cheese frosting. 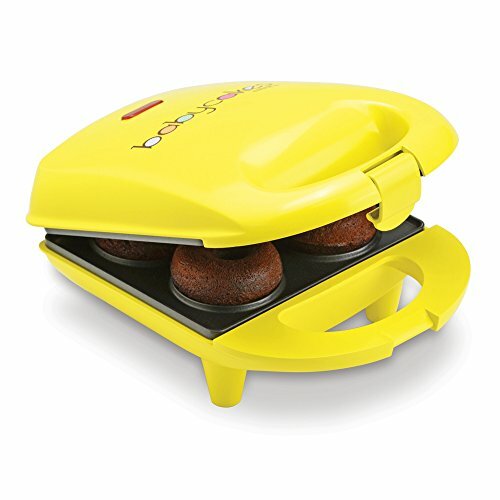 Preheat Mini Donut Maker or preheat oven to 350 F.
Grease the donut maker or donut pan. Cream the butter and sugar in a mixer until light and fluffy. Combine the flour, cocoa, baking powder, salt and baking soda in a bowl and stir to combine. Add the buttermilk and vinegar to the batter, and then add the flour mixture and combine on low speed. Add some green food coloring and mix well. Put the batter into an icing piping bag and fill the donut maker or pan. Bake 7 minutes in Donut Maker or 15 in the oven. Cool completely on wire racks before frosting. Get the cream cheese and butter for the frosting out of the refrigerator to soften while the donuts cool. To make the frosting mix the cream cheese and butter until smooth. Mix in the powdered sugar and thin with milk. Dip the donuts in the frosting and then sprinkle with the green sugar. The donuts were delicious, and make a nice change from cupcakes! What is your favorite green food for St. Patrick’s Day? Green velvet + donuts = Happiness. What a splendid way to kick off St. Pat’s Day! 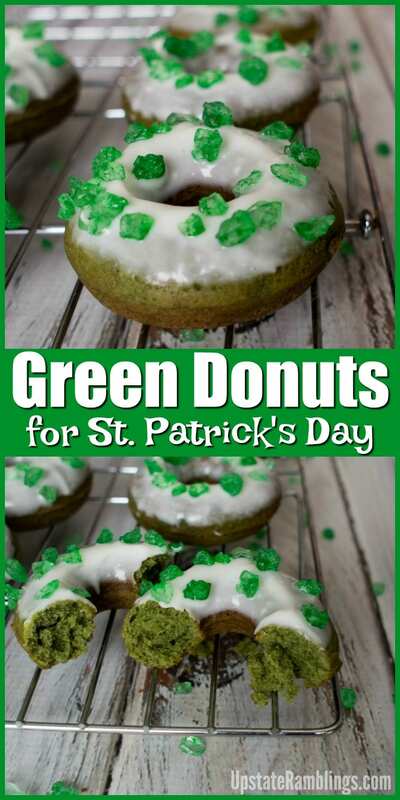 Your Green Velvet Donuts will be special for St. Patrick’s Day. Thanks so much for sharing this awesome recipe with Full Plate Thursday. Hope you have a great weekend and come back soon! I totally love this idea!!!! 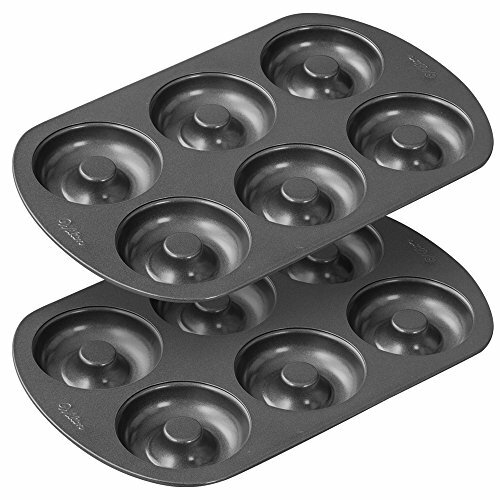 I want to bake donuts and picked up a pan recently. This may be a great first recipe to try with the boys. My daughter would love these. Cream cheese frosting is her absolute favorite. These look like great donuts!! I never heard of green velvet before they sound delicious. What a great spin on red velvet. These are going to be a great treat for my little leprechauns.